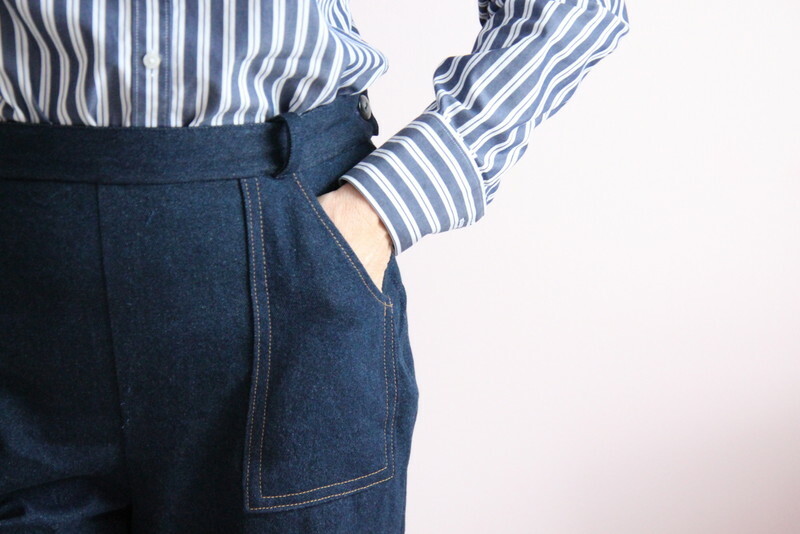 Call them mom jeans, high-waisted jeans, frumpy….I don’t care. 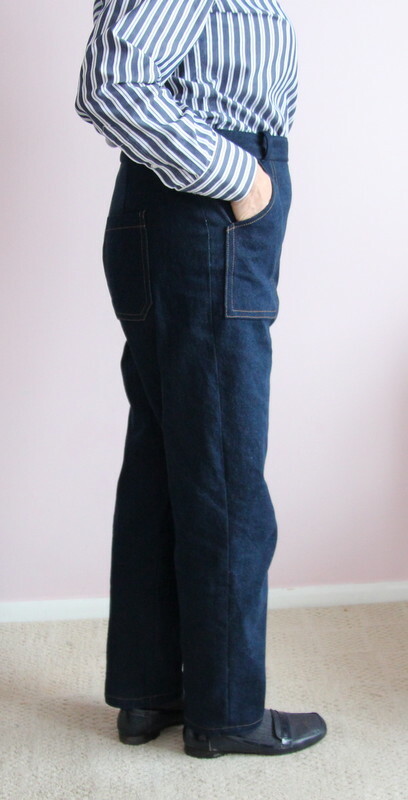 I made my first pair of jeans! I have wanted to master my own pants for a long time. My first attempt was an Amazing Fit pattern by Simplicity. Some time ago there was a sew-along for this pattern, the McCall’s M7547. It’s an overalls pattern, but I liked the option for the straight legs and high waist. 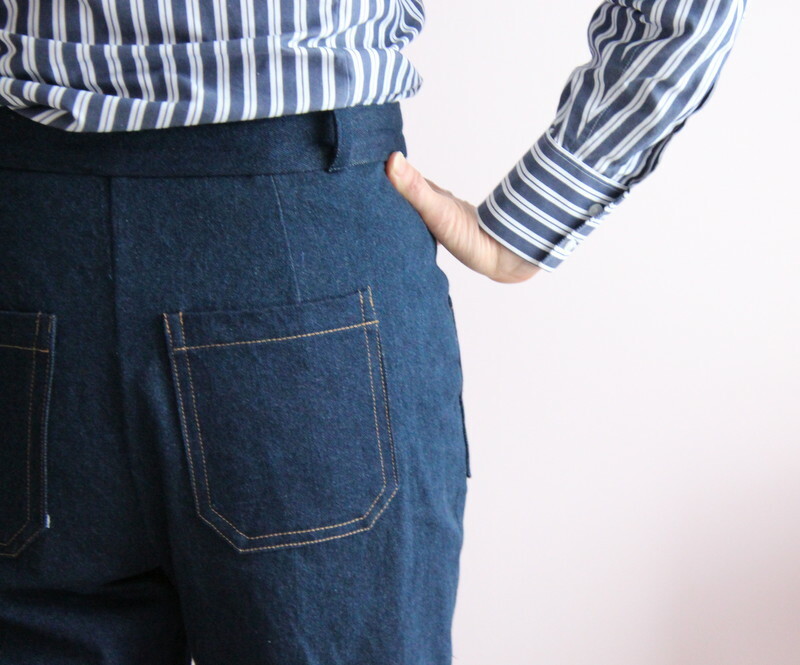 I also liked the pocket details – especially the front pocket. 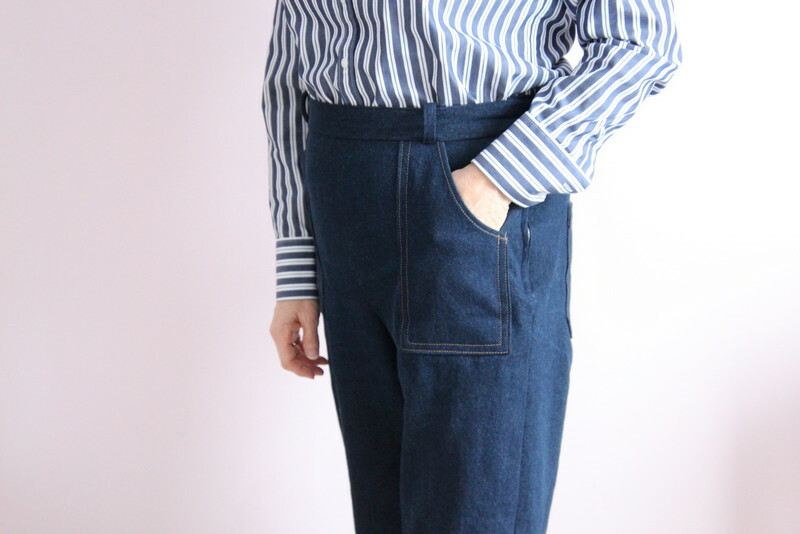 Years ago I had a pair of denim pants with this kind of pocket. I loved those pants. They were ankle length, with a full leg and drawstring, if I recall correctly. I wore them mainly in the summer. I don’t remember when I started making the jeans. I cut out a size 16 (I am a retail size 10, LOL.) I started by basting the entire outfit and tweaked the fit. I may have used 1″ seams, but I can’t remember! Then I put it in a basket where it languished. I decided to dedicate a morning to finishing them. I am sure I could have tweaked the fit more, especially in the thighs. But I also prefer ease so that I can comfortably sit down. I can always pull them in a bit at the sides. I am going to see how they wear, stretch and wash. I did pre-wash the denim, purchased at JoAnns. I like the jeans thread detailing on the pockets. I eliminated the mock fly stitching as well as the top-stitching on the crotch seam. I prefer a more trouser-style jean. The waistline sits at my actual waist. That is so comfortable for me. Anything that falls shorter (99% of my pants), tends to slide down since it starts at the biggest part of my belly. I originally purchased a jeans zipper. I don’t think it specified that on the package. Since the side seam is on a hip curve, the metal zipper is a little wonky – or perhaps that is my zipper installation skills. 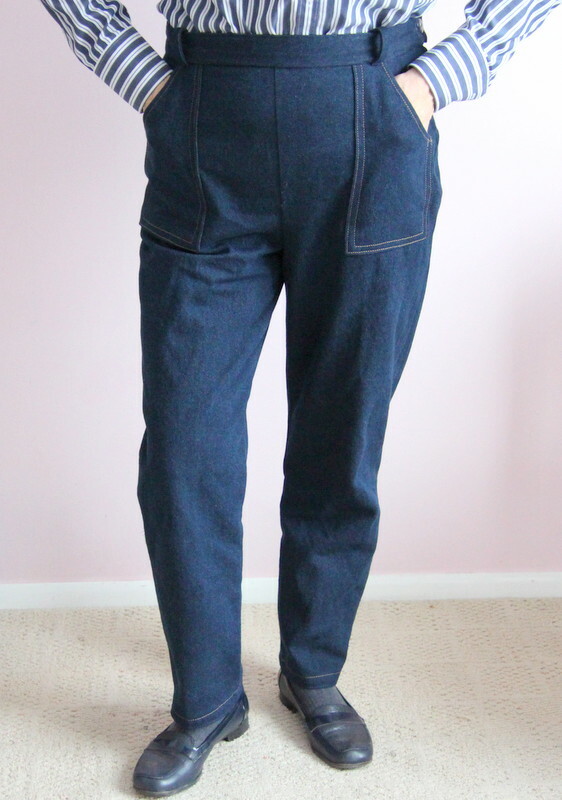 Overall, I’m pleased with the finished jeans. I will see how they wear!